As a child progresses, the teaching sessions will gradually become more natural. Perhaps the teacher will stand up and walk around the room. Instructions which were once short, concrete sentences may become longer, multi-part directions. This new structure is intended to simulate a classroom environment, where children must attend to a teacher who is at a distance, working with the entire classroom. A good way to move toward this integration process is to use items which are familiar to the child from their one-on-one, structured environment, in new and different ways. Accordingly, while the instructions and style of the lessons may be different, the materials used will not pose an added distraction. Since Stages Language Builder Picture Noun Cards are a staple in many one-on-one teaching programs, children often find the basic picture cards to be familiar. 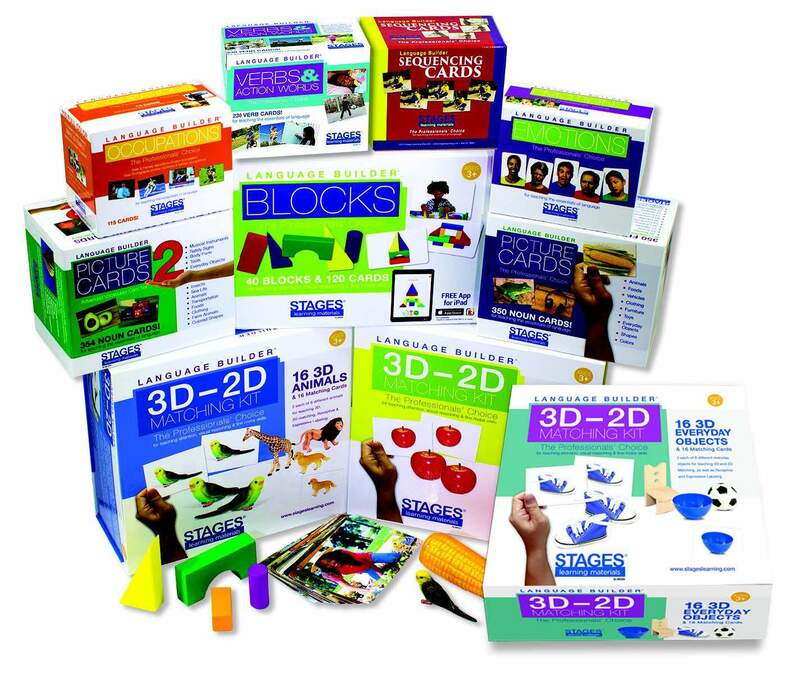 Stages products can help you transition children from the one-on-one setting, into the classroom inclusion environment. Stages Real Life Learning Posters are large format 14 x 19 inch cards using the same photos as the original Language Builder Picture Noun Cards. The teacher can use these photos with the student from a distance. Start simply by asking the student to identify the image when it is held up from 4 feet away, then 8, then 12, and so on. Certainly the student would have no problem with this expressive labeling task if the teacher were at the table with them. But, now we are asking the student to expand their ability to focus on and attend to a teacher who is further away in proximity. You can add more and more familiar lessons to the repertoire as the student becomes comfortable with this new style of learning. 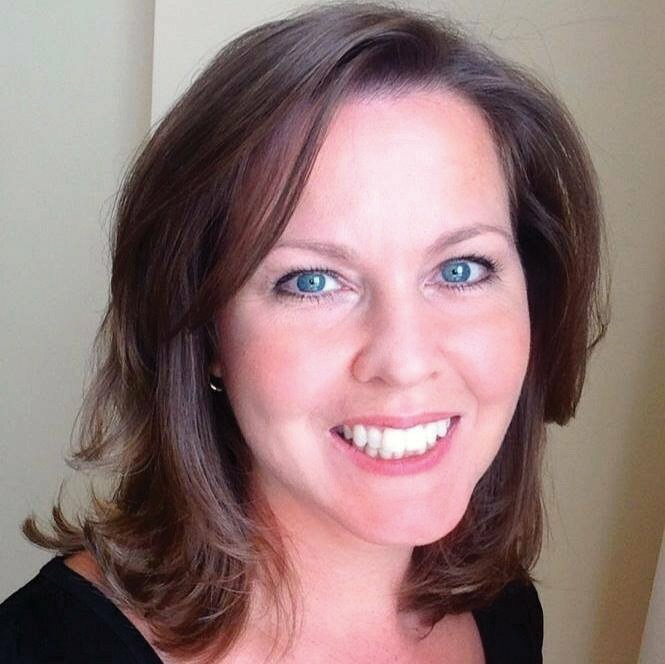 As a next step, you can use different Stages products together. Consider giving the student 6 or 8 cards from the Language Builder Picture Noun Card set at their table, while the instructor holds a poster "at the front of the class.” Ask your student to find the card that matches the poster and bring it to the instructor. This is a complex task that involves 1) attending to the instruction from a distance, 2) selecting the matching picture, and 3) carrying out the task of bringing the picture to the front of the class … without getting distracted along the way. Next, you can invite in a few friends or siblings. This will be even closer yet to the classroom setting, and the other kids will love to "play school” with you and your student! You’ll be in the real classroom in no time. Now that you've learned more about integrating your child into the mainstream classroom, see what you can do to get them ready for back-to-school. Check out our Back to School Success blog for activities and advice on getting your child ready for the much anticipated First Day. 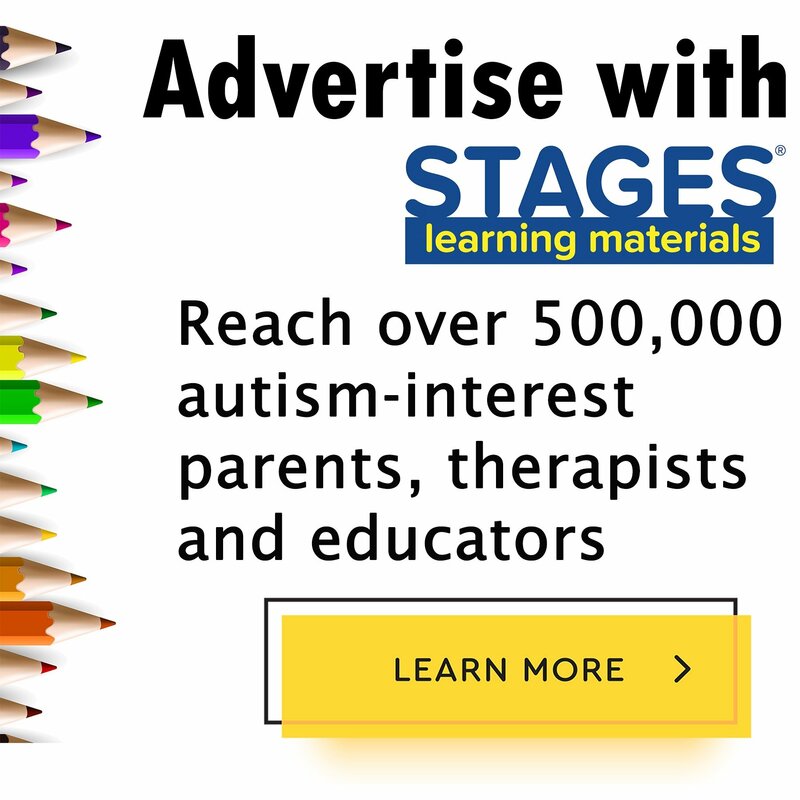 To learn more about the products described in this article, visit the Stages Learning Materials website.